In the snow-capped Dolomite mountains this weekend, Sky gave Giro d’Italia leadership responsibilities to new signing Leopold König. The Czech rider, seventh last year in the Tour de France, sits fifth overall in the Giro, but feels ‘gutted’ for team-mate Richie Porte, who quit the race due to injuries. Despite being a heavy favourite to win the overall, Porte crashed, banged his knee and hip, and lost time to leader Alberto Contador (Tinkoff-Saxo). He abandoned during today’s rest day and travelled home from the Madonna di Campiglio ski resort. “I’m gutted for him, he been great this year, he’s been constant during the season, and if you look at my results, I was a pretty s**t rider and maybe Dave [Brailsford] thought it wasn’t the best signing!” König said when he arrived at the summit finish yesterday at 1715 metres. Sky changed plans sometime after Porte crashed on his left side on the slick roads to Jesolo on Friday. The incident left him disadvantaged for the following day’s time trial and summit finishes in the Alps. 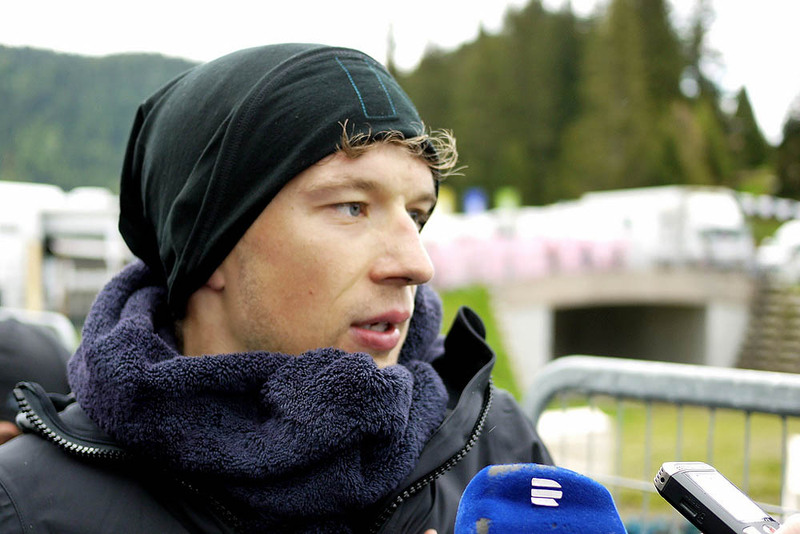 Porte lost 4-16 minutes on Saturday and on Sunday, was still on the road when König spoke to reporters at the Madonna di Campiglio finish line. “The team mentioned that I should be prepared. It’s like, ‘Leo, you have the full responsibility of team Sky, but no pressure!’ ha ha!” König said. König also crashed in Jesolo and lost 1-57 minutes in the overall fight. After placing seventh yesterday, he sits fifth at 6-36 minutes. “I could be on the podium maybe or fourth. I just hope those two stupid minutes won’t make a difference in Milan. Riding for German team NetApp, König won a stage in the 2013 Vuelta a España and finished 14-32 minutes behind Vincenzo Nibali (Astana) in the 2014 Tour de France. 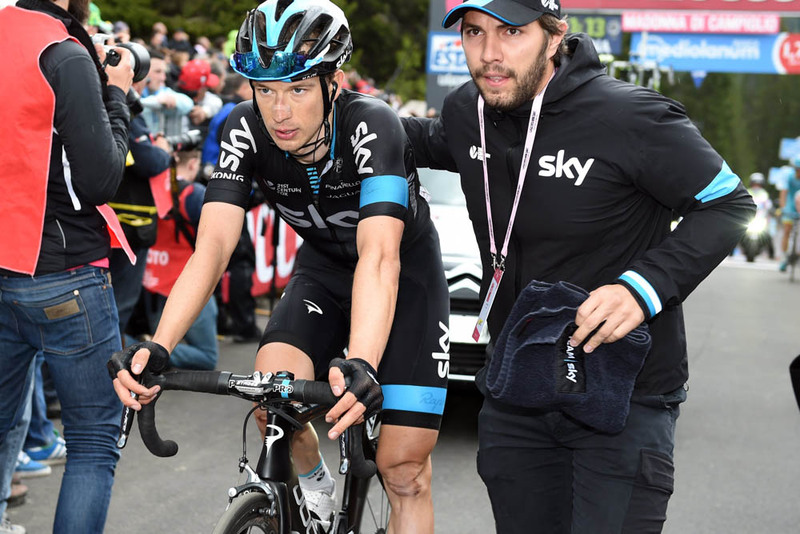 Sky snapped up the 27-year-old over the winter to boost its GC team. Given Porte’s problems in the Giro, it proved to be a smart move to hire König.